Is enough being done to promote collective redress in the courts of England and Wales? Lucy Pert, a partner at Hausfeld, argues that more could be done in this increasingly important area of law. Whether in the context of this Directive, or when addressing the legislative landscape in the United Kingdom (UK) more generally, the legal community should be supportive of a more robust framework for collective redress in the UK. First, this is the right thing to do. The cost of resolving a dispute is often out of proportion to the amount at stake for any one individual. This means that, for consumers and small to medium-sized enterprises (SMEs) - as well as larger corporations at times - collective redress is the only means by which a party can seek to be compensated for damages it has suffered. This is a question of access to justice. A stark example of the extent to which consumers in Europe may be being left behind is the Volkswagen emissions scandal, also previously covered by CDR. Volkswagen has already paid out over USD 15 billion to consumers in the US while those who have suffered loss in Europe are still waiting for compensation. Alongside other law firms acting in related proceedings, Hausfeld is doing what it can to redress this imbalance, having filed a claim in the Braunschweig District Court in Germany on behalf of more than 15,000 German consumers affected by the scandal. Further, collective redress can empower consumers and businesses to challenge anti-competitive behaviour and help to modify the behaviour of wrongdoers. The notion of a ‘private attorney general’, in acting in the private enforcement of claims in the public interest, is well known in the United States, but not widely used on this side of the Atlantic, something previously highlighted in the keynote address given at CDR’s first Competition Litigation Symposium. Finally, it is in the UK’s own commercial interests to promote the use of our courts in the face of increased competition from other jurisdictions, not least as a result of Brexit. Class actions have been a prevalent part of the commercial litigation landscape since their inception (in present form) in the late 1960s. The US was the first to adopt an opt-out class action regime. Many people cite the excesses of the US system as a reason not to embrace class actions in the UK. It would be difficult to replicate here, however, even were this desired. Firstly, the UK’s adverse costs regime will discourage frivolous complaints. Secondly, there are no triple damages for antitrust claims and punitive damages are rarely awarded. Thirdly, there are no jury trials for commercial litigation. Finally, the UK courts have to date been conservative (one could query, perhaps too conservative?) regarding setting the threshold for certification of the class, as demonstrated by recent cases. Some may argue Australia has the better model to follow. Australia has an opt-out class action regime that has just celebrated its 25th anniversary, as reported by CDR. In that time, it has provided redress to intellectually disabled workers who received over AUSD100 million; 30 thousand borrowers of dubious payday loans have been refunded excessive interest and costs under their agreements; orphans from the UK who were abused in the 1960s received AUSD24 million. Recent reforms have made the regime friendlier to third-party funders, the success of which it relies, including the new option to apply for a “common fund” through which the funder’s agreement can be sanctioned by the court, obviating the need for the funder to have an individual agreement with each of the class members. While there are concerns over the development of the regime, and periodic calls for reform, the health of Australia’s class action regime is undeniably strong. The Netherlands is being pro-active in supporting class actions. In 2005, Dutch law introduced the Collective Settlement of Mass Claims Act which allowed parties to a settlement agreement to apply to the court to ask that the settlement be binding on all entities that have incurred damages as a result of defendants’ behaviour. This application would typically be made on the behalf of a ‘Claims Foundation’ which is essentially a Special Purpose Vehicle that has taken assignment of a number of different claims in order to pursue the case. Further, the Netherlands will soon adopt an opt-out class action regime that would apply to all types of civil claims (unlike the UK where such a mechanism, only exists in relation to competition claims). There are many other examples of jurisdictions that are embracing collective action, from Finland to France, the health of which was discussed at previous CDR events, while Australia’s near neighbour, New Zealand, also possesses a strong collective actions regime; even Russia is interested in reform. One of the advantages of working with a law firm that has experience of class actions in several different jurisdictions is that the legal team can assess the claim first, and then decide in which jurisdiction to bring it. Speaking from Hausfeld’s experience alone, the trucks cartel litigation offers one example where Hausfeld has commenced claims in the UK, (which have recently been transferred to the Competition Appeals Tribunal (CAT)); while also doing the same in the Netherlands (both through SPVs and individual actions) and in Germany, (through the representative body, known in English as “Financial Right”, to whom claimants have assigned their claims), taking into account the location of the claimants and the sensitivities around their business interests. It could be said that not enough has been done to promote collective redress in the courts of England and Wales. There are compelling reasons for the UK to ensure that it has effective and efficient avenues for collective redress. As a pioneer in the use of collective redress, my firm will be watching with interest the outcome of the EU’s consultation and once we have reached a final position on Brexit, we will continue to look at the way in which the UK government will seek to promote the use of collective redress through the courts in this jurisdiction. 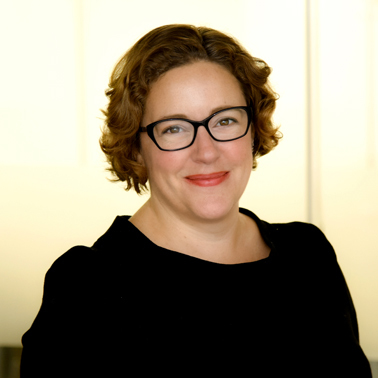 Lucy Pert spoke on the topic of collective redress at CDR’s recent Autumn Litigation Symposium in September 2018. The article first appeared on www.cdr-news.com on 30 November 2018.